An alternative to the spend and Spend, Lie and Die of the Republicans, and the undeserving Democrat. Stewart and Colbert in 2008. Overboard for June 29, 2006. 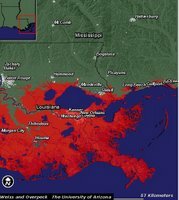 Here is a map produced by the department of Geosciences at the University of Arizona showing how the coastline of South East Louisiana would change should the sea level rise by one meter. 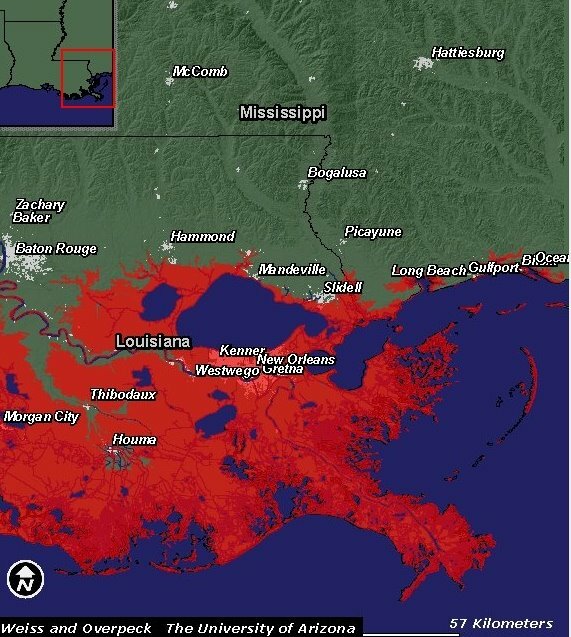 Notice that the most populated areas of the state are now under water! It is estimated that the sea level could rise one meter by the end of this century. Another map shows that the southern third of Florida would be inundated for the same one meter of sea level rise. 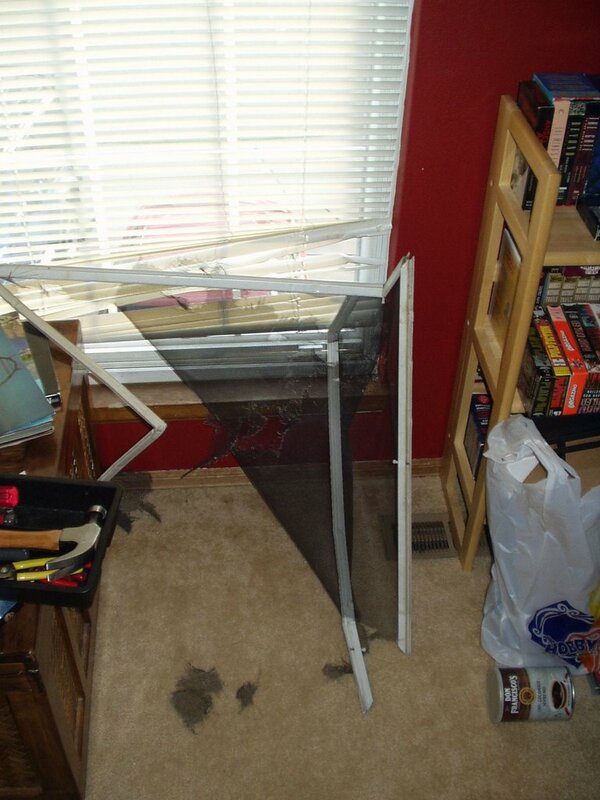 I was a bad little dog today. While my humans were away I broke out of the house. 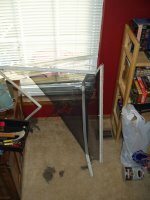 I destroyed the window blinds and pushed out the window screen. 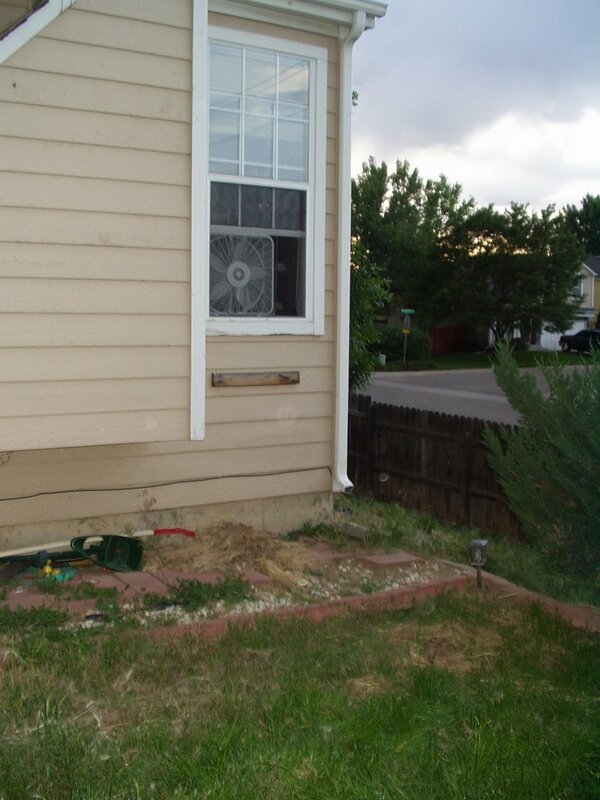 Then I jumped out the window into the back yard where I dug under the fence. 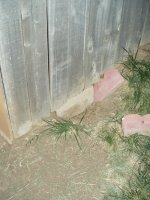 I was impatient, and didn't dig a big enough a hole and got trapped myself the fence. 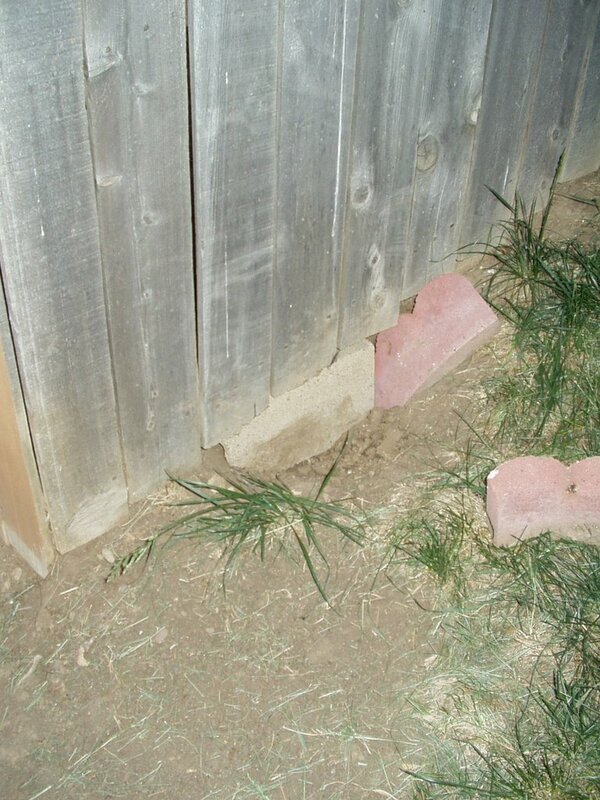 Fortunately a neighbor rescued me, filled in the hole, and put me back into the yard. I scraped up my face and legs, but I didn't hurt myself to much.My humans weren't happy to hear about my day. A new study in the journal Geophysical Research Letters supports a earlier controversial study which proposed a link between global warming and stronger hurricanes. Todays New York Times discusses the research in this article . I recently heard about the group Operation Helmet that provides helmet conversion kits for US personal. It is both a wonderful example of an individual making a difference and tragic that is even necessary in a country as wealthy as ours.